Now you can ask Alexa to show and tell. Amazon (AMZN) unveiled a new version of its Echo device on Tuesday with a touchscreen, adding a visual component to its popular line of voice-controlled personal assistants. With the 7-inch screen, users can video chat with family and friends and pull up photos, YouTube videos, song lyrics and shopping lists. As with other Echo products, users can initiate all this with voice commands. Separately, Amazon announced plans for an update that will let users place voice calls and messages with any Echo device. The update could help cement the Echo's position as a centerpiece of the home. The latest device, called the Echo Show, is available for pre-order starting Tuesday and will be released on June 28. It retails for $229.99. It is essentially a bulky tablet -- but powered by Alexa with the potential to tap into the smart home. 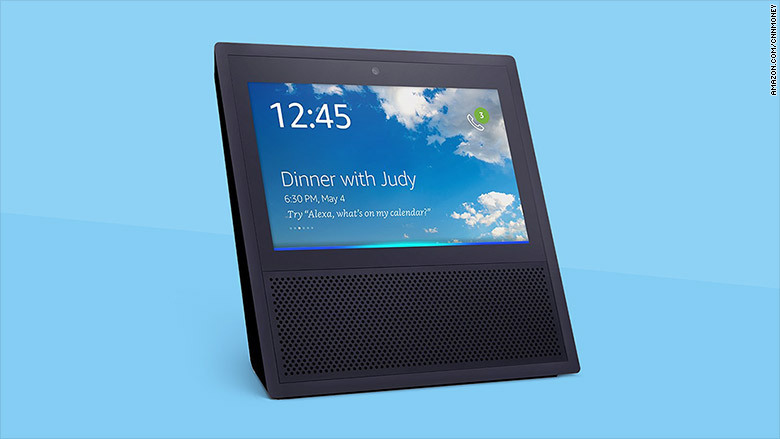 For example, the Echo Show could connect with products like the smart doorbell Ring to show video of who's at your front door. Some may roll their eyes at the idea of having yet another screen in their homes, but Amazon appears to be building up a product line of Echo devices catering to different use cases. 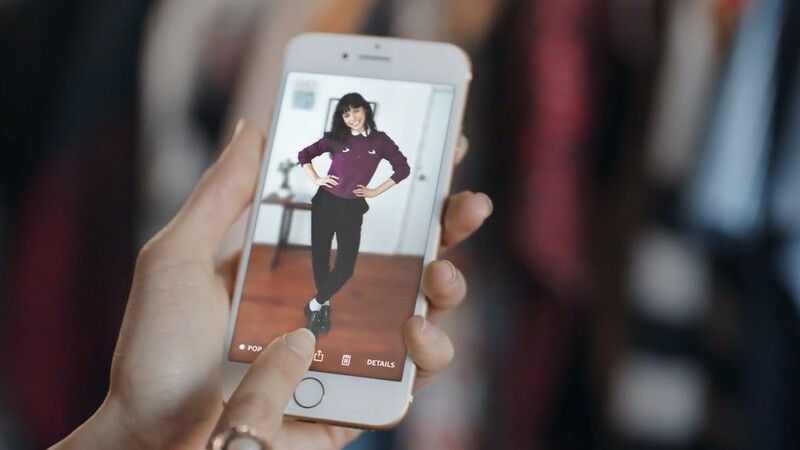 Last month Amazon introduced the Echo Look, which features a voice-controlled camera for taking selfies and comparing your outfits. Amazon continues to offer the standard Echo and cheaper Echo Dot. Amazon debuted its first Echo product in late 2014 and largely had the market to itself for more than a year. But competition is starting to heat up. Google (GOOGL) introduced its smart speaker, called Google Home, in mid-2016. Microsoft (MSFT) and Apple (AAPL) are also rumored to be working on similar devices.